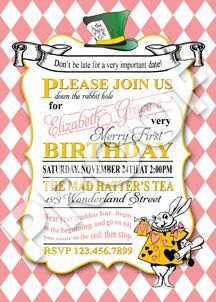 Here is an invitation for a Mad Hatter Tea Party that I designed for a First Birthday. 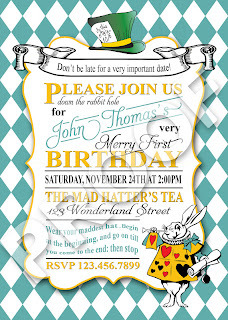 This would also make a great bridal shower invitation. 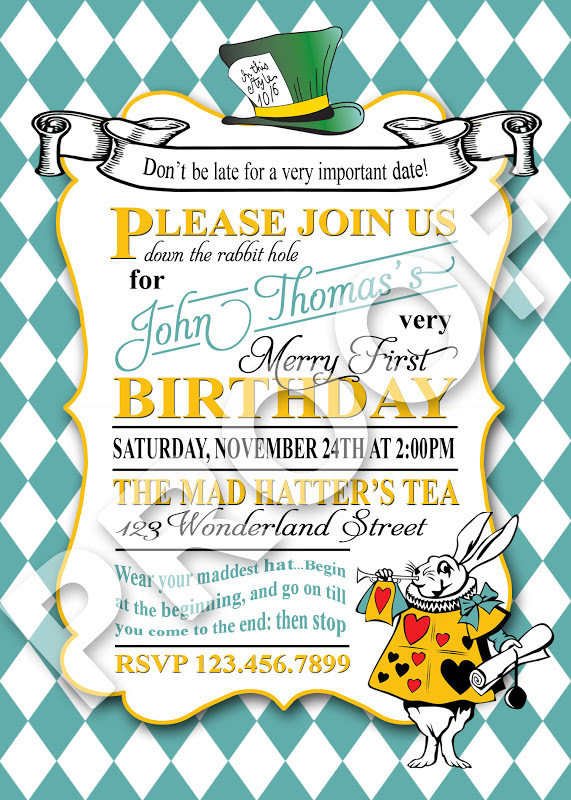 If you would like this invitation or matching party printables contact Paper Perfection at jtanddolly@yahoo.com for pricing and details. 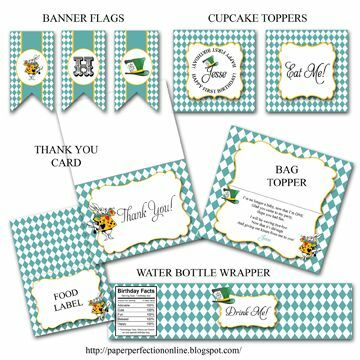 These can also be made in pink!